I recently had the opportunity to check out Disney After Hours and this is what I found. 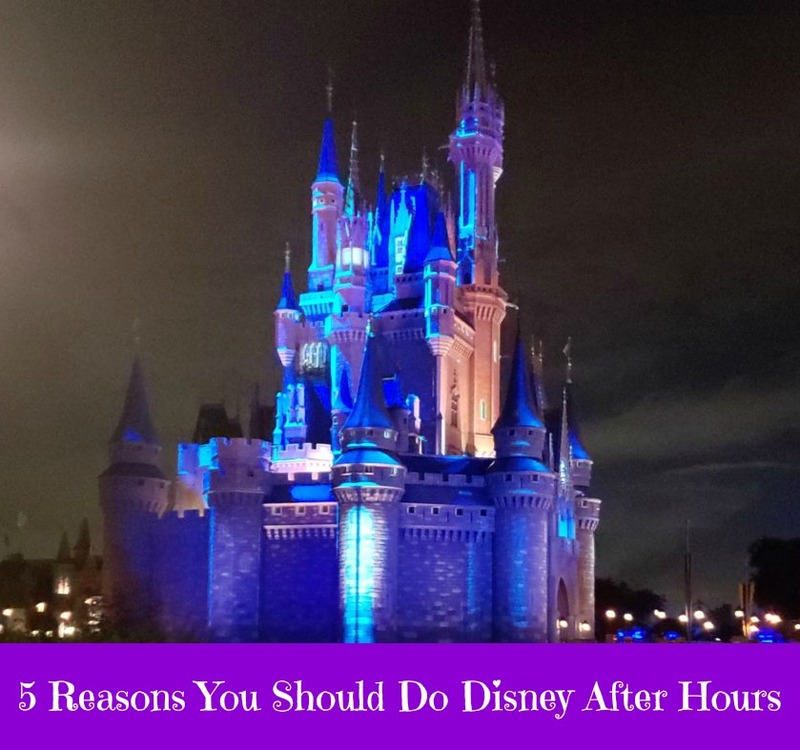 I enjoyed it for a number of reasons, but these are the reasons why I think you should DO Disney After Hours. We skipped the wait at many of our favorite rides and literally walked right into them. (It’s A Small World and Haunted Mansion included). Ice Cream, Popcorn & Select Beverages are included in the admission price! In the midst of the laughs and thrills, be sure to chill out with ice cream novelties and select bottled beverages—included in the cost of admission—available at carts stationed throughout the park. In addition, you can also purchase select menu items at Main Street Bakery and select locations throughout the park. Experience the fireworks and Happily Ever After If you’ve ever been to Disney World, then you know the fireworks are spectacular but Disney After Hours gives you the chance to see them without the stress of rushing out of the park at closing time. Immediately after the fireworks is the Happily Ever After show. Happily Ever After starts with a dream… and takes you on an unforgettable journey that captures the heart, humor and heroism of many favorite Disney animated films. This 18-minute show features more lasers, lights and projections than any other fireworks spectacular in the history of Magic Kingdom park! It all comes together in a dazzling way—for a fantastical finale to your day at Magic Kingdom park. Stay awhile and enjoy yourself. It’s MUCH cooler and there is less of a chance of thunderstorms dampening your fun… On the night that we went it was 87 degrees versus the 96 degrees from earlier in the day. Admission to Disney After Hours is LESS EXPENSIVE… Admission can be purchased in advance for $119 per adult or child, plus tax—or purchased on the day of the event for $124 per adult or child, plus tax. Annual Passholders and Disney Vacation Club Members can take advantage of specially priced tickets for just $89 per adult or child, plus tax. Remember: only a limited number of tickets(3,000 or less) are available for each night. Be sure to purchase your tickets today! With such a limited number of tickets, it’s the perfect opportunity to take photos, explore the park crowd free, and just take your time and enjoy Disney without having to worry about stepping on someone’s toes. One final note, when leaving the park you will notice that the lines for the ferry and the monorail are quite long. We found out that there is transportation to all Disney resorts(including the Walt Disney World Dolphin Hotel and Walt Disney World Swan Hotel) and that there is a bus running constantly from Gate 28 that will take you to the Transportation Facility so that you can catch the shuttle to your car. Transportation runs for up to 2 hours after the event.